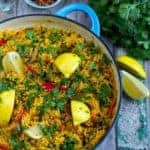 Paella is one of my favourite all time dishes, especially over the summer period. 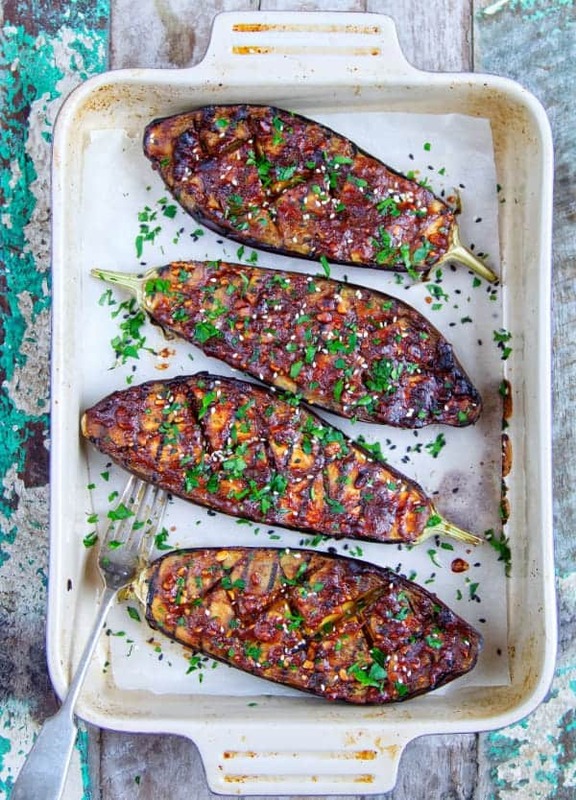 I would say this is one of my favourite dishes to cook when entertaining family or friends at our house. 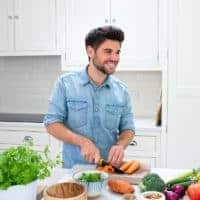 This plant-based version is extremely simple to make and packs so much flavour with every bite! YES this might not be your conventional Paella but who likes to be the same?!?! 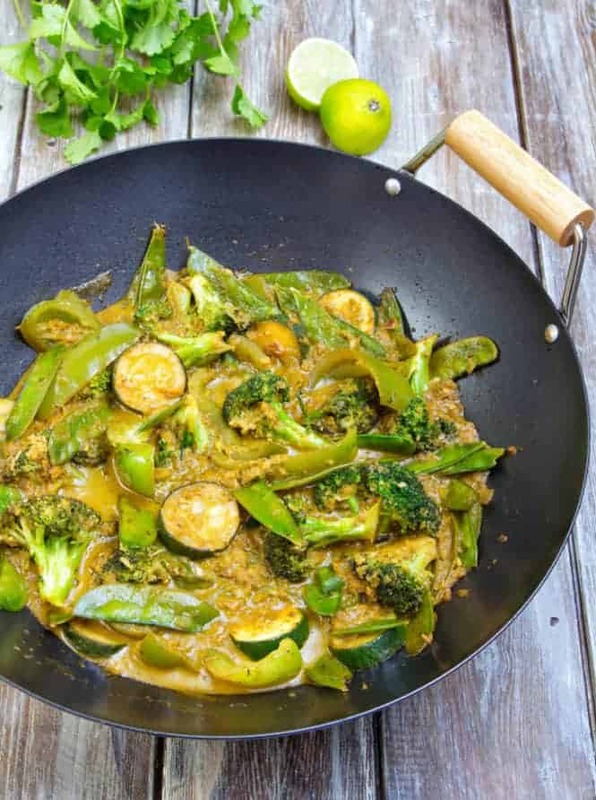 As you know I like to “vegify” my recipes to get the maximum different veg into peoples diet, this one does exactly that! 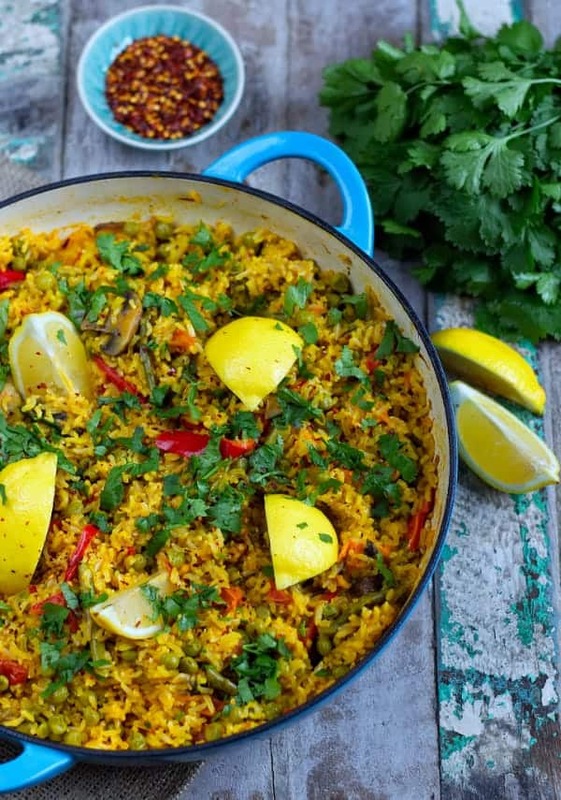 Trust me this paella is such a crowd pleaser! 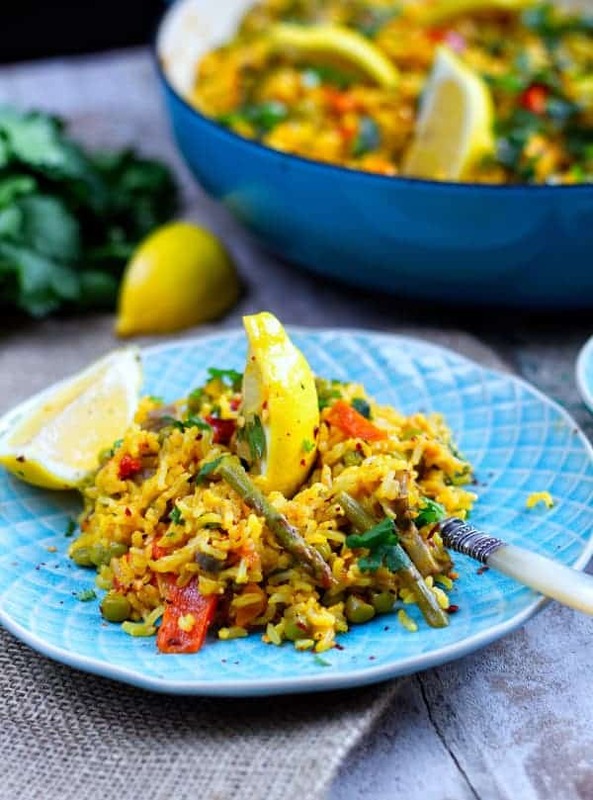 If you try this Plant-Based Paella, let me know! 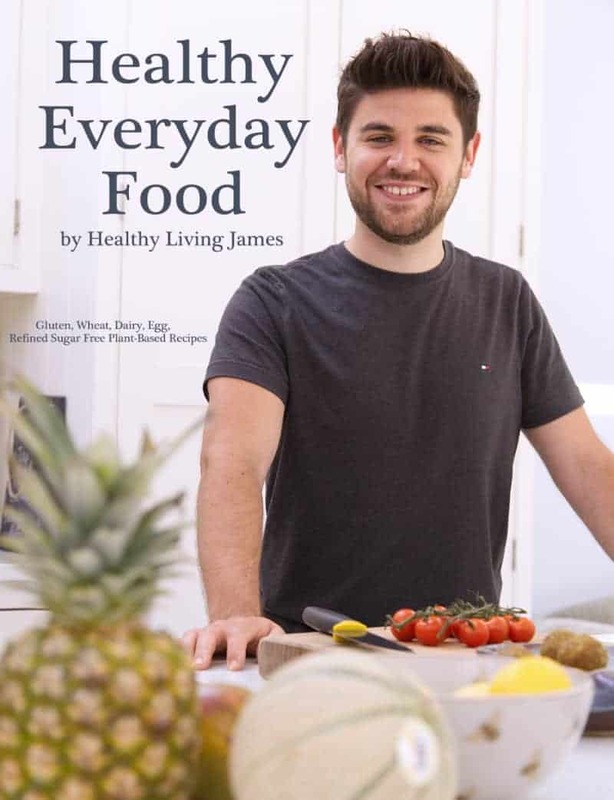 Leave a comment, rate it and don’t forget to tag me on Instagram @healthylivingjames using #healthylivingjames I absolutely love seeing and sharing your recreations! Don’t worry if you have any leftover, it even tastes great cold for lunch the next day. If you fancy adding extras then chicken, prawns or chorizo work amazingly in this recipe! 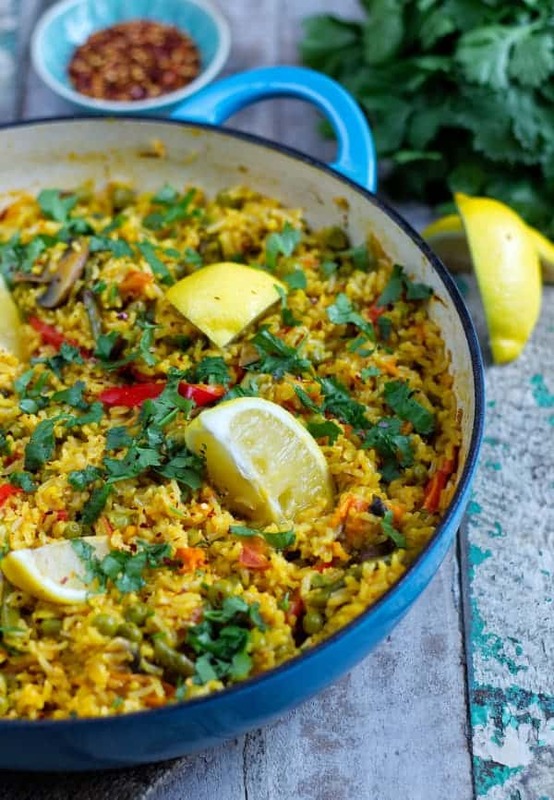 You can add prawns, chicken or chorizo to this paella if you wish! Ooo using coconut milk sounds interesting! It doesn’t look over creamy either. I’m gonna have to try it! Have a go and let me know what you think of it! 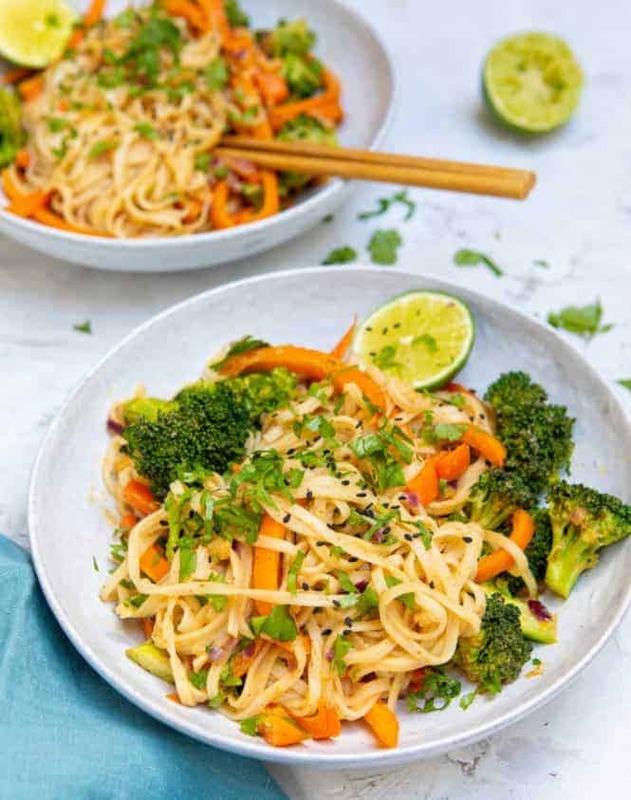 This looks yummy, but my daughter is allergic to coconut – could I use soya or almond milk instead, or does it need to be a thicker substance than that? Thanks. Hey Inga, thank you for the comment!